This café stop on our last morning in Saigon was probably the highlight of our time in Saigon. 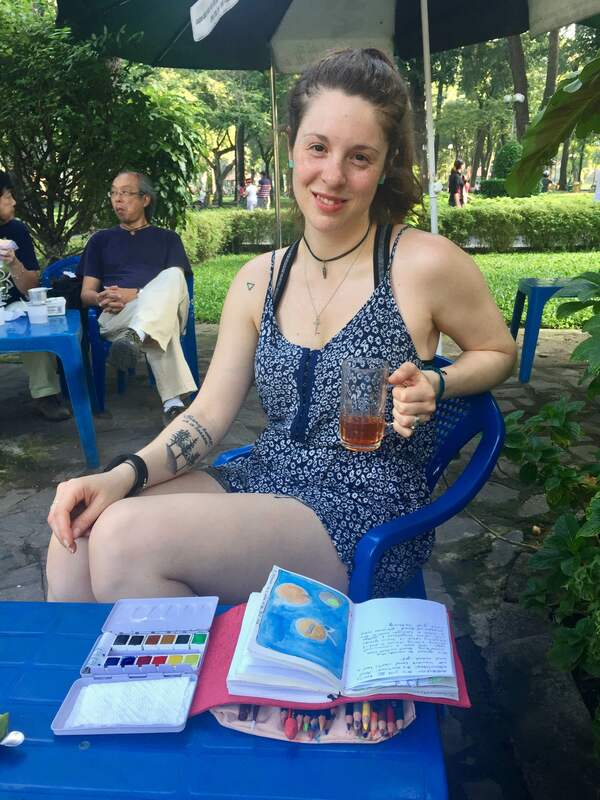 Another suggestion from our wonderful Cu Chi Tunnels guide, she told us about the “bird café” in Tao Dan Park; each morning, from around 6am until around 8 or 9am, a corner of the park becomes a meeting place for men around 30 – 50 years of age, and their pet birds. Sounds odd, right? It is, but in a really beautiful way. 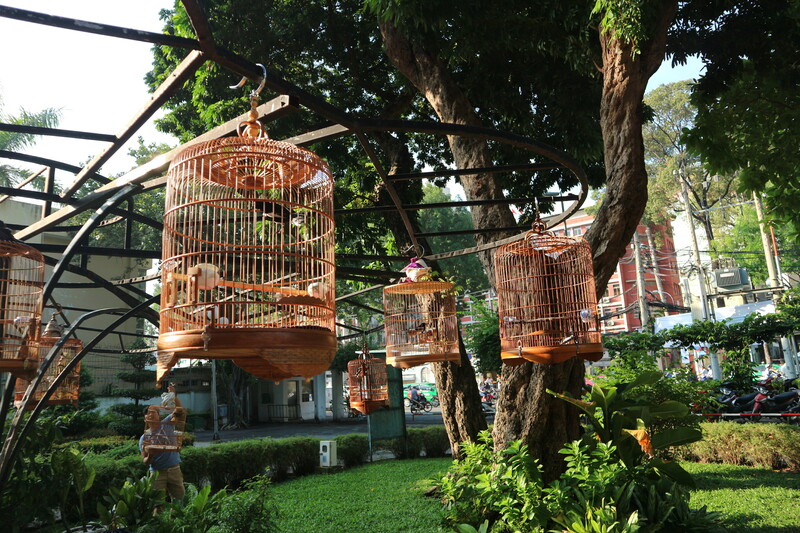 Keeping pet birds is quite popular in Vietnam – you notice cages everywhere, beautiful, old, vintage-looking bird cages, with gorgeous little feathered creatures sitting inside. 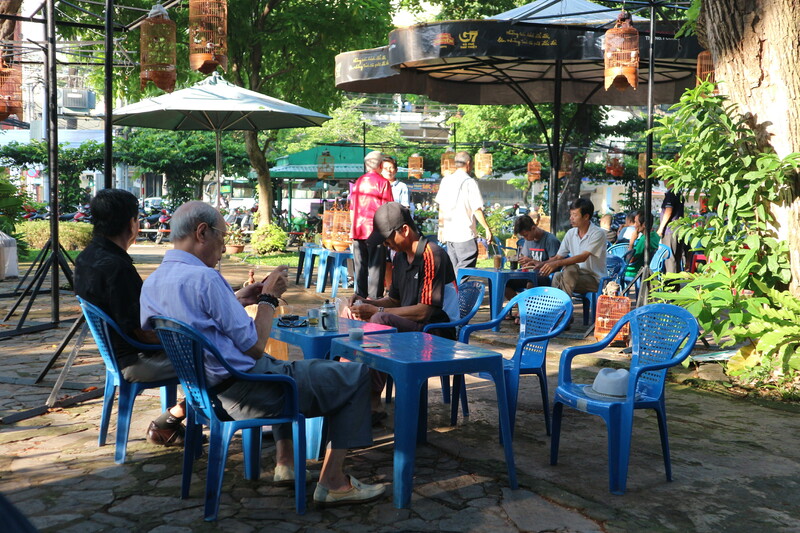 The café at Tao Dan Park is a real social event, where the men of the city roll up on their motorbikes with their covered birdcages perched on the back. They park their bikes and carefully lift the cages, bringing them to rest on the floor in the middle of the outdoor “café.” The covers are removed from the cages, and they’re delicately hung from the hooks on what looks like a collection of big metal trees with braches especially crafted for the cages.